But, what the cover doesn’t exclaim is something that (in my opinion) deserves the loudest coverline of all: GLAMOUR IS HOSTING A WRITING CONTEST, AND THE WINNER TAKES HOME $5,000. This writing contest is free to enter — and most importantly, the deadline is rapidly approaching: Nov. 1. Your prompt? You can’t write about just anything, of course. 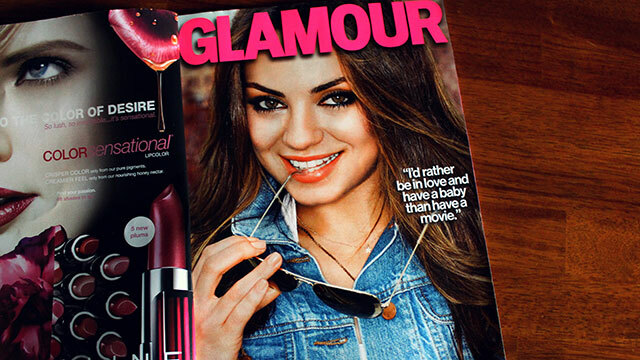 Glamour wants stories about its female readers’ life-changing moments. (Sorry, boys.) The piece needs to hover between 2,500 and 3,500 words — typed, double-spaced, just like high school. Your prize? Five thousand dollars, your name and story published in Glamour and a chance to speak with a “top” New York literary agent. The fine print? The contest is open to legal residents of the U.S. who are 18 years or older as of Nov. 1. Submission is simple. Visit Glamour.com. Be sure to include your name, age, address, daytime and evening phone numbers and email address. Do note that once you submit your essay, it becomes property of Conde Nast and will not be returned. The copyright is still yours, but you’re basically giving Glamour permission to publish it — which would be awesome because that means you won! You’ll find out if you’re the winner by May 1. Scope out all the fine print at Glamour.com. Then, start writing — or polish up an old piece — and send it in. Good luck, folks, and I’d like a portion of that $5,000 if you win. If you’re interested in other ways to make money, visit our Facebook jobs page. Your Turn: What’s life-changing moment will you write about?